DPMS AR15 lower parts kit, includes: Trigger Trigger Spring Hammer&nb..
Magpul Gen M3 7.62x51 M118 LR 25 round window black P-Mag. These have updated followers to..
Standard AR15 charging handle by Surplus Ammo & Arms. ..
New complete M-16 bolt carrier group for .223/5.56 AR-15 type rifles. Surplus Ammo &a..
Magpul AR-15 5.56 Gen 3 30 round medium coyote tan PMAG. Third generation MAG557-MCT P-MAG&n..
Magpul AR15 10 round 5.56 P-Mag, gen 3. 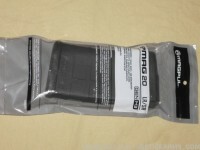 ..
Magpul gen M3 PMAG, black 30rd 5.56. 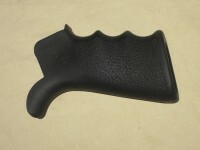 Third generation MAG557-BLK P-Mag with dust cover. The ..
Gen M3 5.56 30 round Window AR-15 P-MAG. ..
Mossberg 16" AR15 5.56 Nato barrel with parkerized finish. 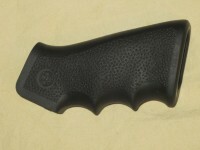 Features: M4 profile M-4 fe..
Third generation, MAG557-BLK P-Mag. These were a bulk purchase, they do not include covers or factor..
Mossberg 16" AR-15 .223/5.56 Nato barrel with melonite finish. Manufactured by Mossberg and dis..
YHM low profile gas block for AR-15 rifles. 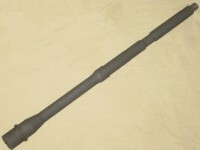 It will fit standard rifles with .750 diameter barr..
One 16" AR-15 7.62x39 barrel. The barrel features: M-4 profile M-4 barrel extension 16" ..
Magpul MOE 30 round AR-15 5.56/.223 P-MAG. These are second generation, marketed as MOE (Mag..
Magpul D60 60 round 5.56 black P-mag drum magazine. 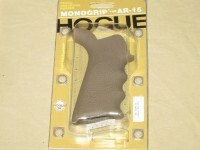 It will work in just about every rifle that u..
Magpul AR15 5.56 10 round sand P-MAG, gen 3. 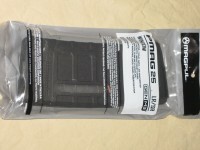 New third generation MAG559-SND PMAG ..
Magpul AR15 5.56 20 round P-MAG, gen 3. 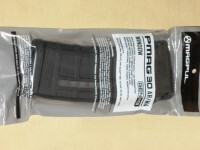 MAG560-BLK P-MAG with dust cover. 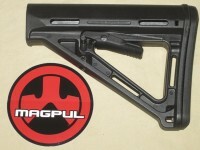 Feature lots ..
Magpul AR-15 5.56 / .223 20 round sand P-MAG, gen 3. Third generation MAG560-SND P-MAG ..
Magpul Sand AR-15 30 round 5.56 Gen 3 PMAG. Third generation MAG557-SND P-MAG with dust..
Magpul sand gen M3 5.56/.223 30 round window P-MAG. Newest, third generation MAG556-SND ..
Magpul black window 5.56 30rd P-Mag, second generation MOE, dust cover not inlcuded. It will..
Magpul OD green window 5.56 30 round P-MAG, second generation MOE, dust cover not inlcuded. ..
Magpul D60 60 round 5.56 black P-mag drum magazine, 2 pack. ..
ASC 7.62x39 AR-15 10 round black stainless steel magazine, new. ..
ASC 7.62x39 AR-15 20 round stainless steel magazine with black marlube finish. There may b..
ASC 7.62x39 AR15 flat dark earth 30 round magazine. There may be light scratches in the fi..
ASC 7.62x39 AR15 30 round magazine with black marlube finish. There may be light scratches in t..
ASC 9mm 32 round AR-15 stainless steel magazine with black marlube finish and orange ..
Amend2 AR15 5.56 Nato 30 round black magazine. ..
ASC 10 round 5.56/.223 AR-15 black marlube magazine, new. Should work well with any wea..
ASC 7.62x39 AR-15 20 round flat dark earth stainless steel magazine, new. There may b..
ASC 9mm 10 round AR-15 stainless steel mag with black marlube finish and orange follower. 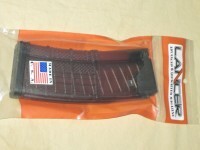 ..
ASC 9mm 20rd AR-15 magazine with black marlube finish and orange follower. It will fi..
Brownell's 6.5 Grendel M-16/AR-15 complete bolt carrier group. It features a 9310 ste..
Magpul .308 7.62 Nato 20 round black gen 3 P-MAG. It will work with rifles that use SR-25 st..
Magpul .308 / 7.62 Nato 25 round window black P-MAG, Gen 3. 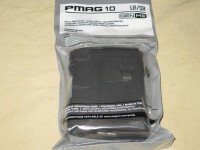 It will work with rifles th..
Generation 3 Magpul .308 10 round black P-MAG. It will work with rifles that use SR-25 style..
Swiss Schweizer Waffen Technik 5.56 30 round AR-15 magazine. Solid magazines, he..
Colt factory 20 round 5.56 AR15 USGI aluminum magazine with black polymer follower. It is in factory..
Brownells milspec 30 round 5.56/.223 AR-15 gray magazine with 2000's style green follower &..
Bushmaster 20rd 5.56 AR-15 black magazine with anti-tilt follower. It was manufacture..
New black teflon D&H aluminum .300AAC Blackout 30 round AR-15 magazine. Blackout ..
New black reaper pattern D&H aluminum 5.56/.223 30 round AR-15 magazine with Magp..
New black teflon D&H aluminum 5.56/.223 30 round AR-15 magazine. Features a ye..
New D&H grey epoxy finish 30 round 5.56/.223 AR-15 magazine. Features a yellow or OD mag..
New highlander reduced pattern D&H aluminum 5.56/.223 30 round AR-15 magazin..
Lancer Flat Dark Earth opaque .223/5.56 30 round AR15 magazine The Advanced Warfighter Magaz..
Lancer translucent clear .223/5.56 30 round magazine, new. The Advanced Warfighter Maga..
Lancer translucent flat dark earth L5 AWM .223/5.56 30 round AR15 magazine, brand new in sealed..
Lancer black opaque .223/5.56 20 round AR15 magazine. 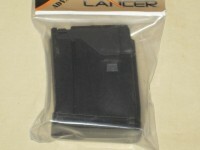 The Advanced Warfighter Magazine ..
Lancer black .223/5.56 30 round AR-15 magazine. Opaque. 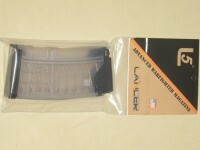 The Advanced Warfighter Magazine has..
Lancer Translucent Clear .223/5.56 20 round AR-15 magazine The Advanced Warfighter Maga..
Lancer translucent flat dark earth .223/5.56 10 round magazine, brand new in sealed bag. 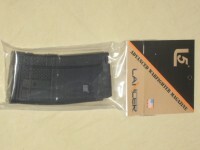 The..
Lancer translucent flat dark earth .223/5.56 20 round magazine, brand new in sealed bag. 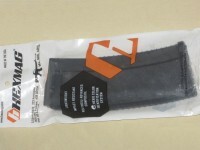 The..
Lancer translucent smoke AR15 .223/5.56 30 round magazine, . The Advanced Warfighter Magazin..
ASC AR-15 20 round stainless steel 5.56 / .223 magazine with orange anti-tilt follower, ne..
Lancer smoke clear 20 round 5.56 AR15 magazine. The Advanced Warfighter Magazine has anti-tilt fo..
Magpul AR-15.300 Blackout 30 round Gen 3 PMAG. 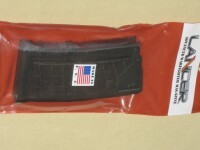 Third generation MAG800-BLK P-MAG with d..
Amend2 AR15 5.56 Nato 20 round black magazine. ..
ASC AR-15 5.56 30 round flat dark earth stainless steel magazine. It has an ASC orange ant..
ETS AR-15 translucent smoke .223/5.56, 30 round magazine with built in coupling system. Elit..
ETS AR-15 translucent smoke .223/5.56, 30 round magazine. Now built in coupler on this one. 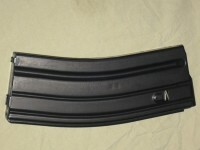 ..
Lancer L5 AWM .223/5.56 10 round AR15 black magazine. 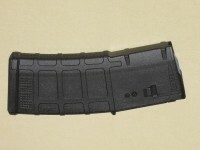 The Advanced Warfighter Magazine has an ant..
ASC 10 round 5.56/.223 AR-15 stainless steel magazine, new. Should work well with any weapon..
ASC 6.5 grendel 25 round flat dark earth stainless steel AR-15 magazine, new. 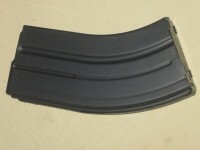 ..
ASC AR-15 5.56 20 round black marlube aluminum magazine. It has an ASC orange anti-ti..
Hexmag AR15 5.56 Nato 30 round black magazine. 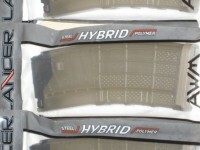 ..
Hexmag AR15 5.56 Nato 30 round flat dark earth (FDE) magazine. ..
Amend2 AR15 5.56 Nato 20 round flat dark earth magazine. ..
Amend2 AR15 5.56 Nato 10 round black magazine. ..
Daniel Defense AR15 5.56 Nato 32 round black magazine. ..
Mission First Tactical AR15 5.56 Nato 30 round black magazine. .. Okay Industries 30 round 5.56/.223 AR-15 Surefeed magazine. It features a Magpul anti..
Amend2 AR-15 5.56 30 round flat dark earth magazine. ..
Amend2 AR-15 5.56 30 round OD green magazine. 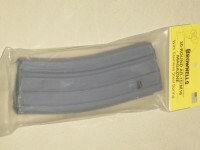 ..
ASC AR 308 10 round steel magazine, new. ..
ASC AR-15 .450 Bushmaster 5 round stainless steel magazine. ..
ASC AR-15 .450 Bushmaster 7 round stainless steel magazine. 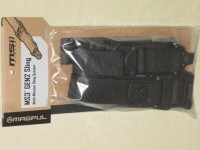 ..
ASC 6.5 Grendel 10 round black stainless steel AR-15 magazine brand new in seale..
ASC 6.5 grendel 15 round flat dark earth stainless steel AR-15 magazine, new. ..
ASC 6.5 grendel 15 round black stainless steel AR-15 magazine, new. ..
ASC 6.5 grendel 25 round black stainless steel AR-15 magazine, new. ..
ASC 6.8mm SPC AR-15 10 round stainless steel black marlube magazine w/ anti-tilt follower,..